FED UP HEALTH DIRECTOR PROMISES POOP TICKETS. We’ve got the scoop. 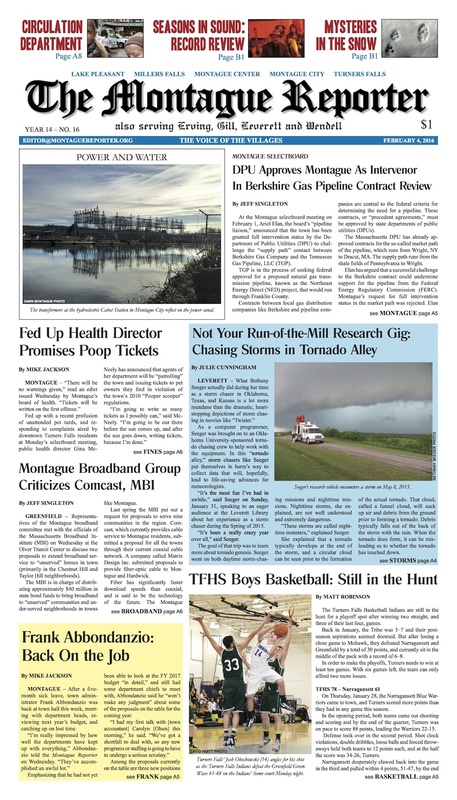 Also in Montague: full selectboard coverage; town manager Frank Abbondanzio is back on the job; a guest editorial from Montague Community Cable, Inc.; Part 2 of An Eye on Town Finances, and the latest on efforts to bring broadband to all. In the towns: A Leverett resident recounts her experiences chasing storms in Tornado Alley. 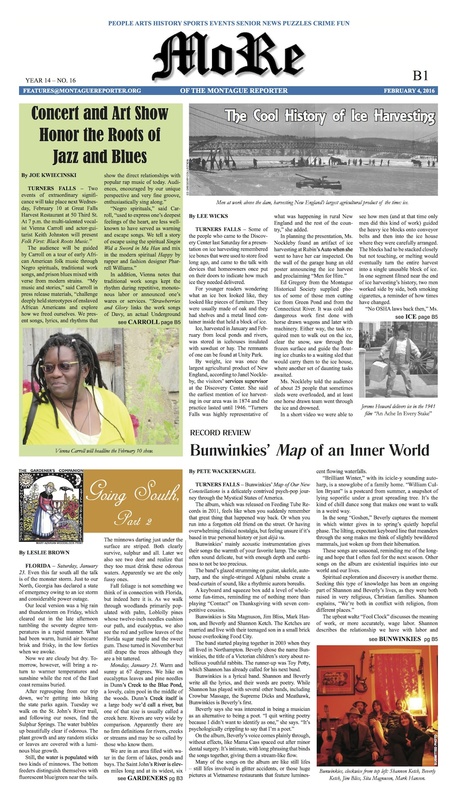 We’ve got selectboard coverage and police logs from Erving, plus highlights from Wendell’s selectboard and notes from the town clerk. Our editorial wonders whether a “Trump effect” is coming to local government. And, TFHS boys’ basketball is still in the hunt for a playoff spot.